From the first bite, the Wheat Germ Straccetti from Pastificio Morelli reveal the exceptional flavour and aroma of the wheat, which is much more noticeable and intense in comparison to conventional pasta. 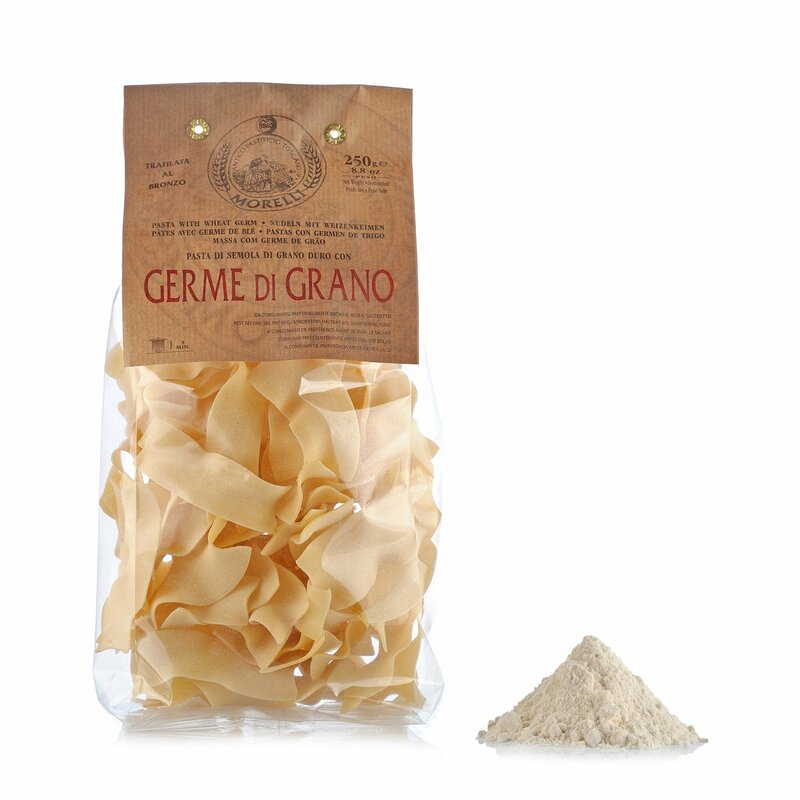 The secret of these Straccetti is the use of wheat germ which provides important nutritional substances, such as protein, mineral salts, vitamin E and vitamin D, which is very important for its antioxidant power and for helping to prevent cardiovascular disease, high blood pressure and high levels of cholesterol. Morelli pasta also has an optimal consistency and guarantees a perfect texture after cooking. Ingredients Durum wheat semolina, wheat germ. Allergens: contains cereals containing gluten. Produced in a factory which also processes egg-based, fish-based products, shellfish derived products and soya. For more information on product labels, please contact our Customer Service department. The information on the labels of the products may vary for reasons beyond our control, therefore, there may be discrepancies between the information on the site and that on the products delivered. Please always check the information on the product before consumption or use.